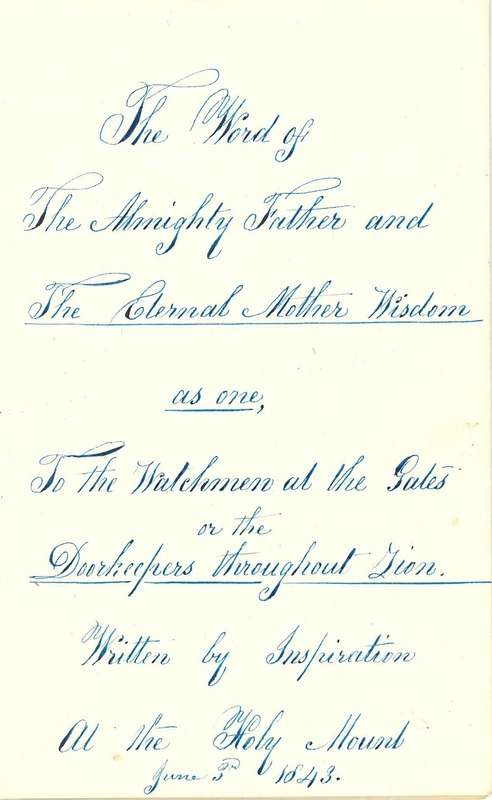 Title page of inspired work, "The Word...", 1843. The United Society of Believers in Christ’s Second Coming, better known as the Shakers, had their origins in 18th century industrial England. Their founder, Ann Lee, was born in Manchester in 1736 to a blacksmith and a cotton factory worker. According to British common law at the time (which also formed the foundation of United States statutes), a husband and wife became one person, overriding the woman’s legal existence. Lee resisted marriage but was forced at the age of 24 by her father to marry. She quickly lost four children in childbirth or infancy. Lee, who had long held strong religious beliefs, began to proselytize her view that salvation was attainable through celibacy and the public confession of sin. The ecstatic trembling and shaking motions that presaged Shaker dance and gained the sect their nickname were part of the public purification process. After attracting the attention of the authorities for her radical ideas and being imprisoned repeatedly, Lee led eight of her followers to the American colonies where they hoped to practice their faith more freely. Landing in New York City in 1774, the group eventually made their way to Niskeyuna, now known as Watervliet, near Albany. In 1787 the Shakers established their first organized community at Mount Lebanon. Eventually the Shakers spread to more than 19 settlements from Maine to Kentucky and at their height in the mid-19th century numbered over 6,000 individual believers. When Lee, who came to be known as Mother Ann, outlined her theology for the community, she placed equality at its heart. For the Shakers, God’s nature was dual, both male and female, father and mother. In keeping with this belief, the children of God were companions, brothers and sisters, each representing one part of God’s duality. Lee’s status as a prophet and leader established a precedent for female leadership. Freed from the reproductive imperative, female Shakers had exceptional control over their own bodies and health, and were not impelled to devote years of their lives to child rearing. 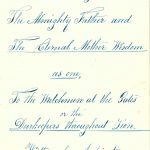 They were therefore free to realize Lee’s vision of dual leadership of and full participation within the religious and secular activities of Shaker society. In contrast, married women in New York State weren’t even granted the right to own businesses and keep their earnings until 1860.